On 27 January, a Tunisian government delegation travelled to the Libyan Red Crescent branch in Misrata to complete repatriation procedures for children whose Tunisian parents fought for ISIS in Sirte. On 17 January, the LNA claimed to have killed the commander of ISIS’s desert brigades Mahdi Rajab Danqou. On 17 January, the Libyan Red Crescent branch in Misrata called on the Tunisian government to accept six children whose Tunisian parents fought for ISIS in Sirte in 2016. 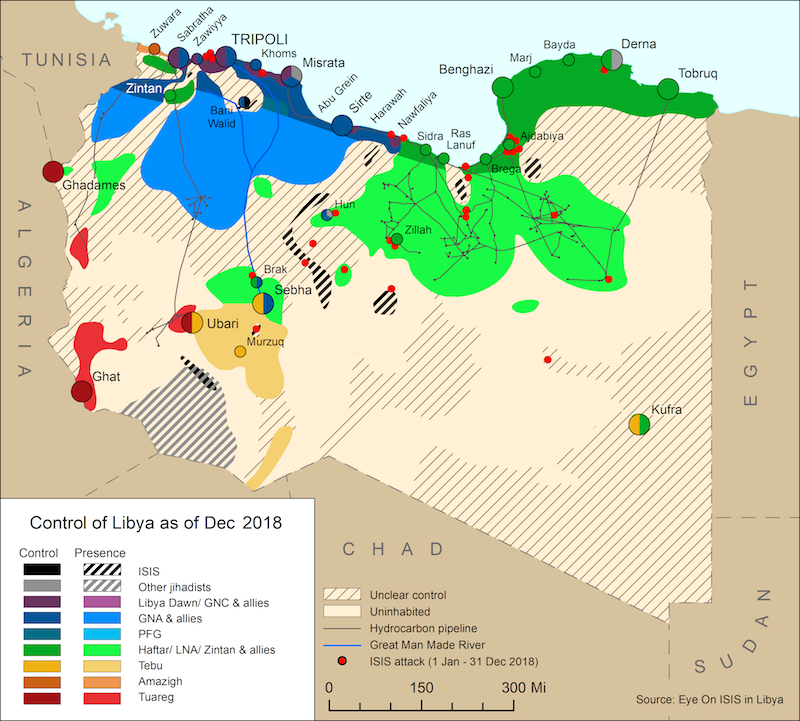 On 1 January, LNA forces undertook security operations around Ghadduwah that resulted in the rescue of as many as 20 civilians captured by ISIS fighters during attacks by the group on al-Fuqaha and Tazerbu late last year. On 27 December, ISIS’s al-Naba newsletter no. 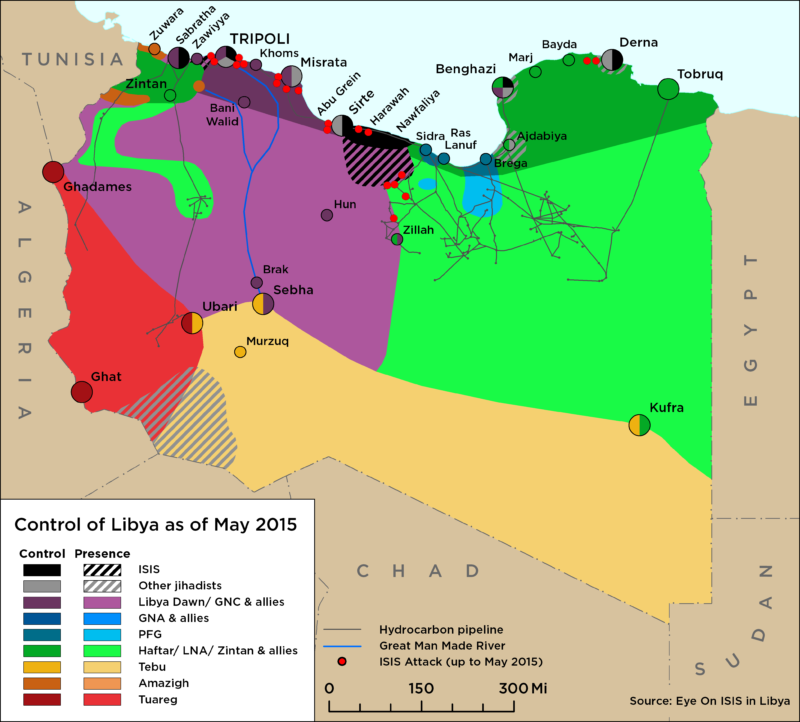 162 outlined details of the group’s attack on the Libya’s Foreign Ministry in Tripoli on 25 December. On 23 December, thirty-four bodies of Ethiopian Christian nations killed by ISIS in 2016 were discovered in Sirte.